Sourdough Chocolate Chunk Almond Butter Blondies give us a healthier way to satisfy that sweet tooth! And of course, Fit Friday!! Nichole at Pure Clean Fitness is up! Sourdough Chocolate Chunk Almond Butter Blondies are full of goodness and taste like it, too! I had an interesting conversation this week with a friend about being hurt versus being injured, knowing when you can keep going and when you need to stop and let some healing happen. We have all dealt with both in life, there is no way you have lived without feeling some sort of hurt or some sort of injury. How do you determine when it is ok to stretch for a second and keep going or when you need to throw in the towel for the day/week? I have been training for almost twenty years and in that time I have watched some very determined people push through a lot of hurt in order to make achieve goals. I have also seen a lot of people give up at the slightest hurt, calling an injury time out and never make it back. 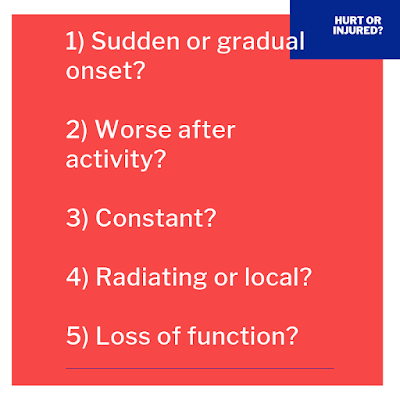 For today’s Fit Tips I wanted to talk about a few ways to determine if you are hurt or injured. These 5 questions will give you a little deeper look into what is going on. Most of the time the twinges that we feel are simply hurt, things that can be pushed through. But there are those times when we actually have injured ourselves. It is important to recognize and respect injuries. 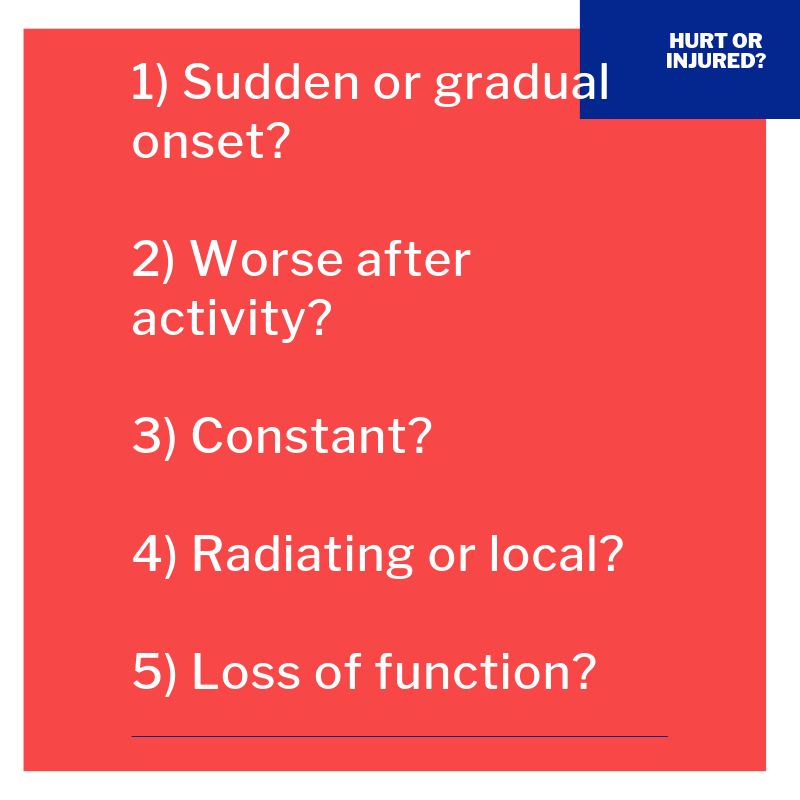 Take the time to let injuries heal and get the necessary medical attention when necessary. Work hard! Work smart! And have a great and healthy day! Sourdough Chocolate Chunk Almond Butter Blondies are happiness in a pan! Sourdough Chocolate Chunk Almond Butter Blondies are a healthier way to satisfy that sweet tooth! Preheat oven to 350 degrees F and coat 9x13 pan with cooking spray; set aside. In a large mixing bowl beat butter 2 minutes until creamy, add sugar; beat additional 3-4 minutes until light and fluffy. Add eggs one at a time; cream well and scrape bowl. Add sourdough starter, peanut butter, and vanilla extract. In a separate bowl, mix flour, baking powder, baking soda, and sea salt. Press into the bottom of prepared 9x13 pan. Bake at 350°F for 18-20 minutes.